Allan Crosthwaite (Director of The Pharmacy Guild of Australia - Victoria Branch), paid an end-of-year visit to Lim's Pharmacy, and had lunch with Richard Lim! Pictured (left to right): Vey (Pharmacist at Lim's Pharmacy), Allan Crosthwaite, Linda (Pharmacist at Lim's Pharmacy), Richard Lim OAM JP (Owner of Lim's Pharmacy. 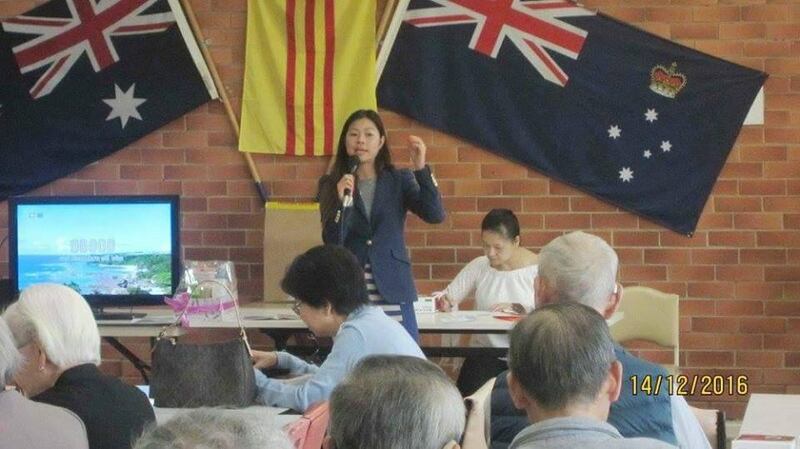 Our pharmacist Linda held a Vietnamese seminar at the Vietnamese Australian Senior Association (VASA) about thunderstorm asthma. This is one of the countless ways we go beyond the store to provide ongoing service to our multicultural community. As a member of the school council, Richard Lim presented Citizens Awards to two graduating Year 6 Students from Springvale Rise Primary School (both campuses). The students presented with this award showed exemplary engagement within the school and general community in ways such as organising assemblies and interacting with tourists! 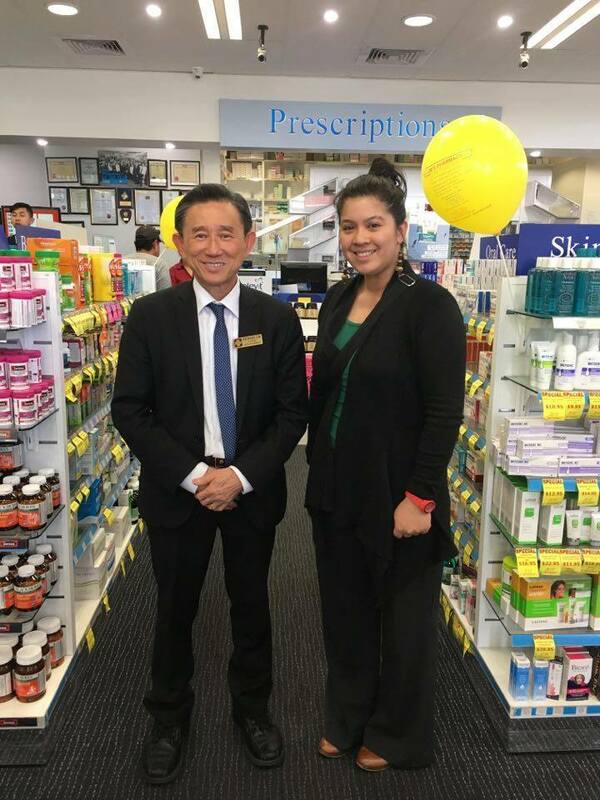 Richard Lim met with a representative from Mother's Heart Cambodia; a non-profit organisation which supports Cambodian women through crisis pregnancy, which Lim's Pharmacy is proud to support. Click here for more information on the charity. As a long-standing member of the school council Richard Lim attended the School Council Meeting and Christmas Dinner for the Springvale Rise Primary School Council. Lim's Pharmacy owner Richard Lim attended the Annual Clayton Multicultural Banquet, hosted by Hong Lim MP (Member for Clarinda). 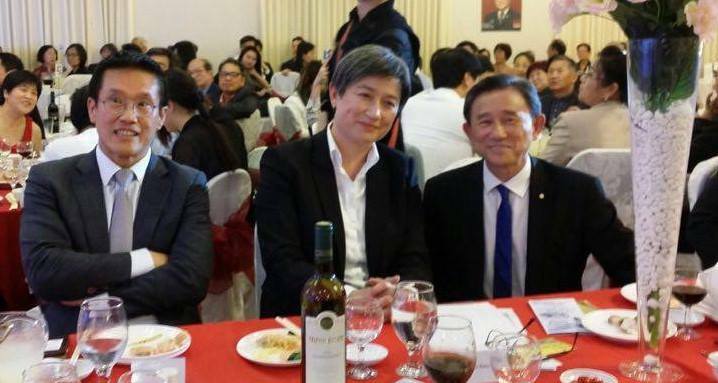 Among the many important guests, Mr Lim was able to sit with Senator The Hon Penny Wong (Leader of the Opposition in the Senate, and The Hon Daniel Andrews (Premier of Victoria). 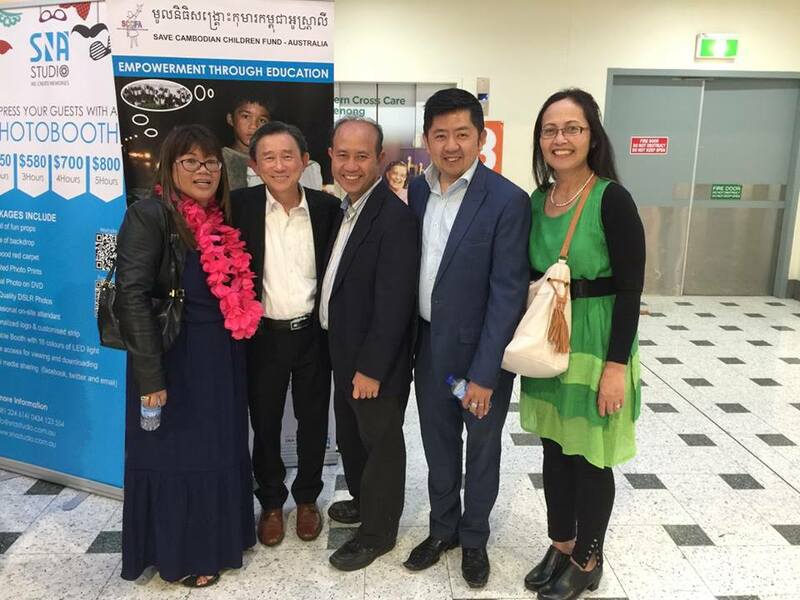 To celebrate 40 years of Cambodian settlement in Victoria, Richard Lim attended an event held at the Immigration Museum, in which he is featured on display among other Cambodians who have contributed greatly to the community. 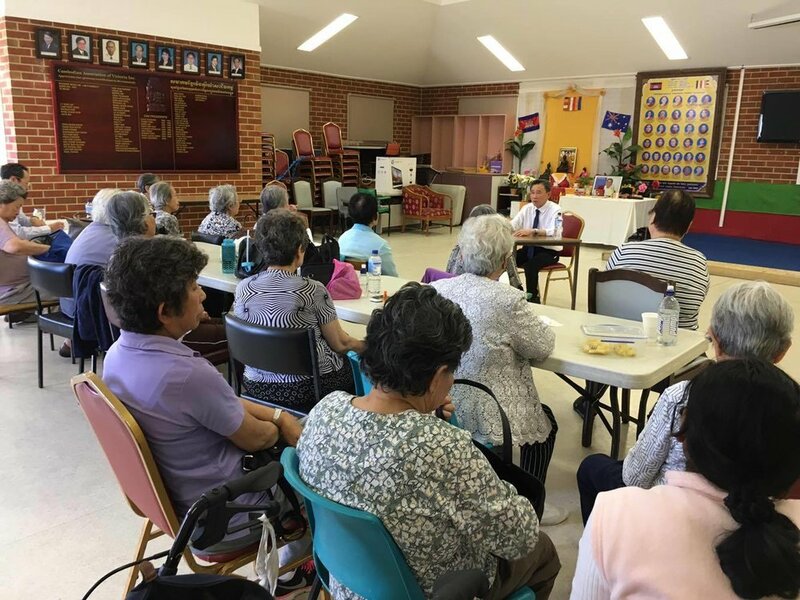 Richard Lim held a health seminar for the Cambodian Elderly Association at the Cambodian Association of Victoria. Richard educated the audience on preventative measures against common health conditions and ways to maintain a healthy lifestyle. With seminars like this, Lim's Pharmacy is constantly involved in shaping the health of our community. Lim's Pharmacy owners Richard and Ann Lim sponsored the 2016 Miss Myanmar Contest! The purpose of the event is to support women's rights, health, and self-confidence in Myanmar, as well as embracing Myanmar culture and traditional dress. Lim's Pharmacy donated $1000, along with 2 raffle prizes for the night! 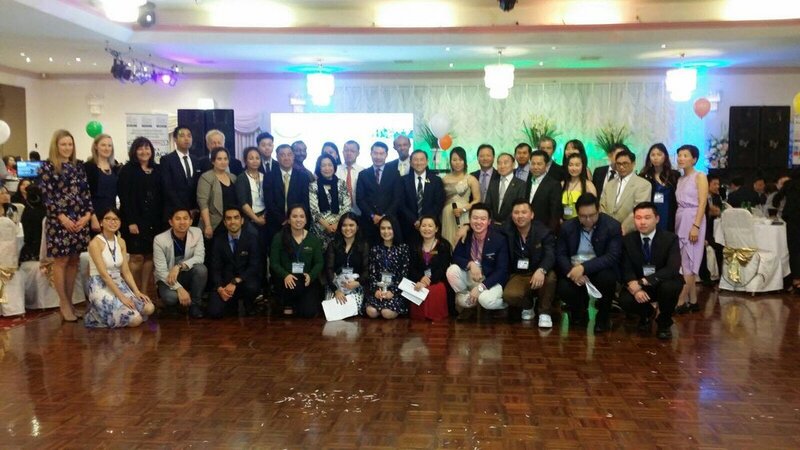 Lim's Pharmacy owner, Richard Lim, attended a dinner for PACE Inc, (Philippine Australia Community Empowerment), an organisation which provides nourishment, healthcare and education to the less fortunate students of the Philippines. Customers had the opportunity to take advantage of our Skin Doctors "Buy 2 Get 1 Free" sale, and received a free face massage from our own staff, Kheang! 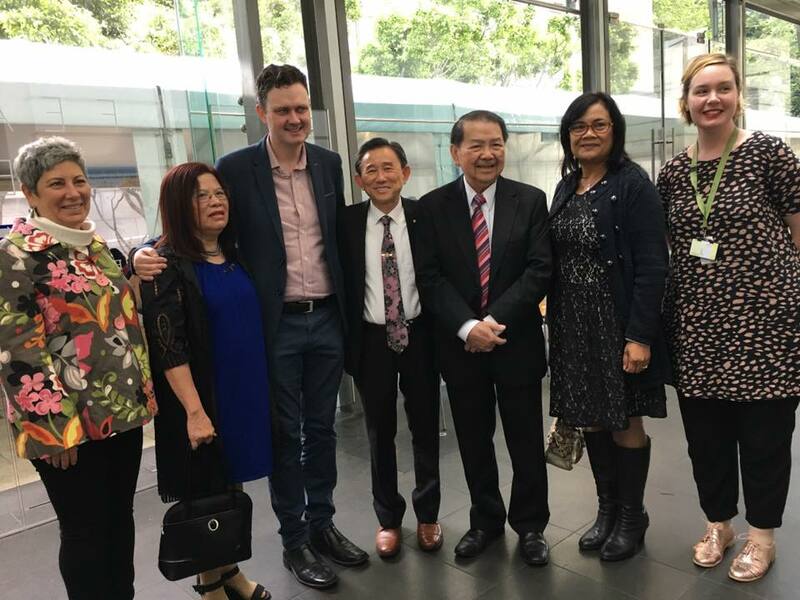 Richard Lim attended the City of Greater Dandenong council meeting, in which the new Mayor, Cr Jim Memeti, and other new council members were elected. Lim's Pharmacy supported SICMAA's (Springvale Indo-Chinese Mutual Assistance Association) Charity Fundraiser! We showed our support for the non-profit Indo-Chinese assistance program by donating raffle prizes and $1000, presented by our representative, Ken. Come in-store to sign up for our Weight Loss Challenge, and the team at Lim's Pharmacy will assist you in reaching your weight-loss goals! Plus, some of our staff have also signed up to the challenge, so we can all achieve our weight-loss goals together. 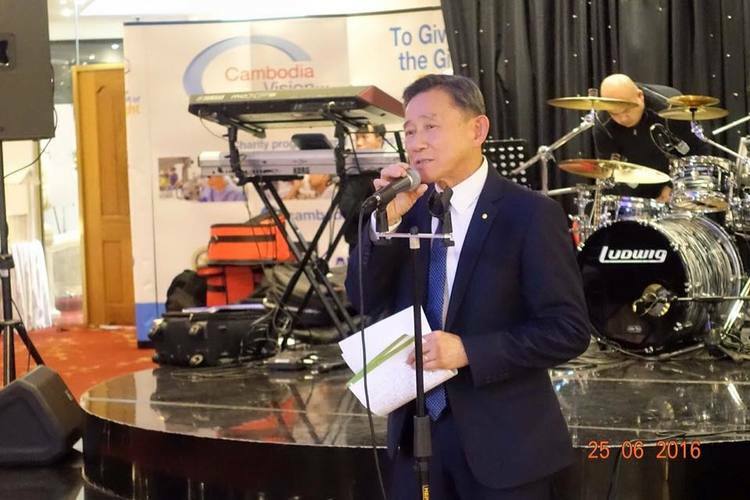 Lim's Pharmacy owner, Richard Lim, was invited to attend the Save Cambodian Children Fund Australia's VIP Night! Lim's Pharmacy owner, Richard Lim, was invited to the Veteran's Health Week, hosted by the Vietnamese Freedom Day Club. Here, Mr Lim presented a speech on social connection and getting involved in a healthy lifestyle, as well as donating three raffle prizes. Did you know that sun rays contain UVA, which can cause damage and ageing to your skin? That's why we held a UV Skin Damage Testing in-store, using a special machine that measures the age and damage of your skin. Special thanks to Ego Sun Sense for providing the machine and skincare advice! Using a special device, the skincare professionals from La Roche-Posay were able to analyse the skin health of our clients in-store, and provide personalised skincare advice. Our annual Cambodia Vision Fundraiser was a huge success, with an outstanding attendance of over 730 guests! We would like to thank the Cambodia Vision organisers, VIPs, guests, and donors for your kind heart in supporting Cambodia Vision, and making the event a night to remember! See more photos here and on our Facebook page. Thanks to Neat Feet, Lim's Pharmacy held an in-store feet check. Customers would stand on a reader which would analyse the structure of their foot to determine the need for insoles or support. Lim's Pharmacy was proud to sponsor and support PACE Inc. (Philippine Australia Community Empowerment) at their charity function. PACE Inc. is an organisation which provides nourishment, healthcare and education to the less fortunate students of the Philippines. Pictured (from left to right): Lerma Ung (President of PACE Inc.), Ann & Richard Lim (Owners of Lim's Pharmacy). Lim's Pharmacy owner Richard Lim was invited to attend the Melbourne Tai Chi Health and Culture Festival as a VIP. 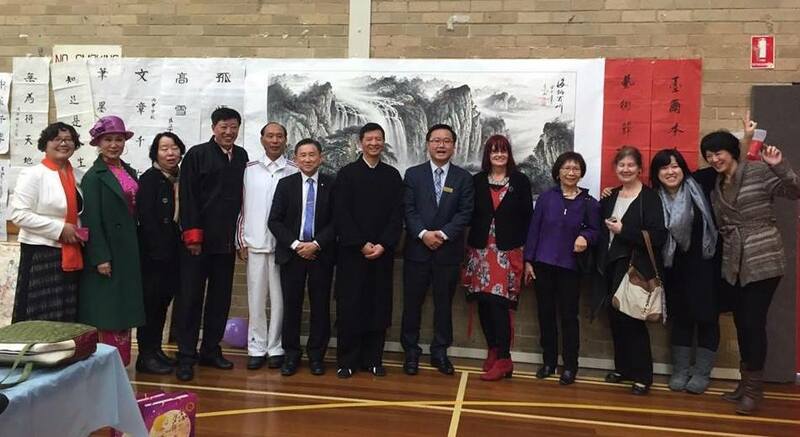 This was organised by the Springvale Mandarin Network, as well as the Springvale Neighbourhood House. 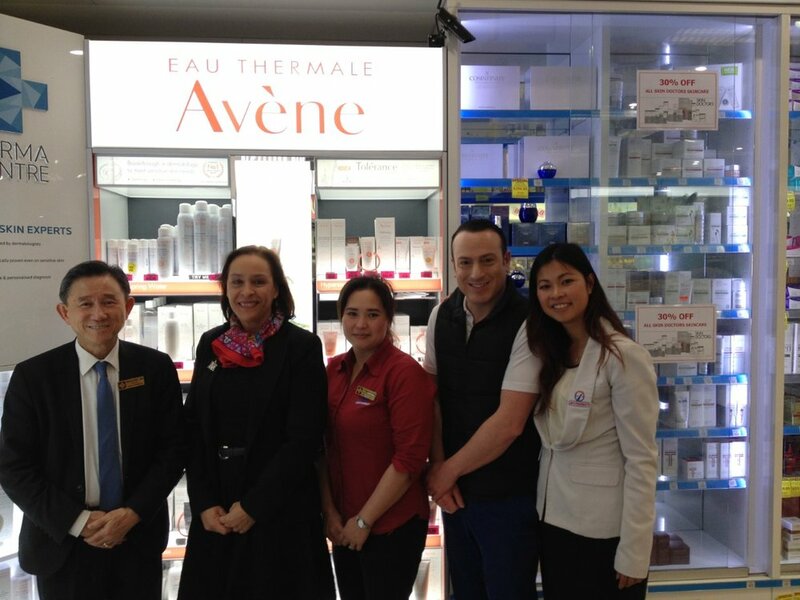 Lim's Pharmacy was paid a visit by representatives from the highly popular skin car brand, Avène. Lim's Pharmacy has one of the highest sales of Avène products among independent pharmacies across Australia! Pictured (from left to right): Richard Lim (Owner of Lim's Pharmacy), Florence Edmond (Managing Director at Pierre Fabre Australia), Kheang (Pharmacy Assistant at Lim's Pharmacy), Matthew (Avène representative), Linda (Pharmacist at Lim's Pharmacy). Richard Lim OAM JP, attended an evening banquet with Premier of Victoria Hon. Daniel Andrews and many renowned members of the health industry. First photo (left to right): Marie Ritchie (CEO and Company Secretary for PDL), Hon. Daniel Andrews (Premier of Vic. ), Richard Lim (Owner of Lim's Pharmacy). Second photo (left to right): Marie Ritchie (CEO and Company Secretary for PDL), Allan Crosthwaite (Director of The Pharmacy Guild of Australia Vic. Branch), Hon. 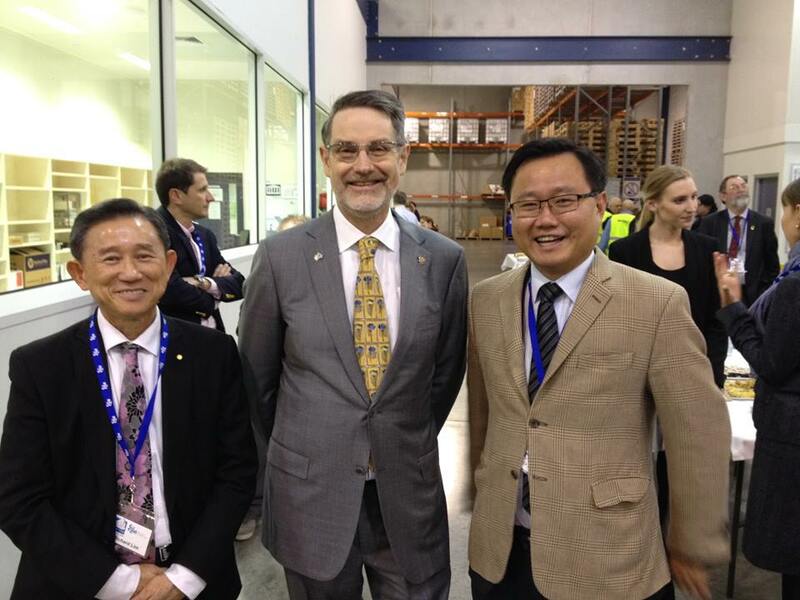 Jill Hennessy (Minister of Health), Richard Lim OAM JP (Owner of Lim's Pharmacy). he team at Lim's Pharmacy were proud to once again attend The Pharmacy Guild of Australia - Victoria Branch's Gala Dinner. All the money raised went towards the Mirabel Foundation, who support children from parents who use illicit drugs. 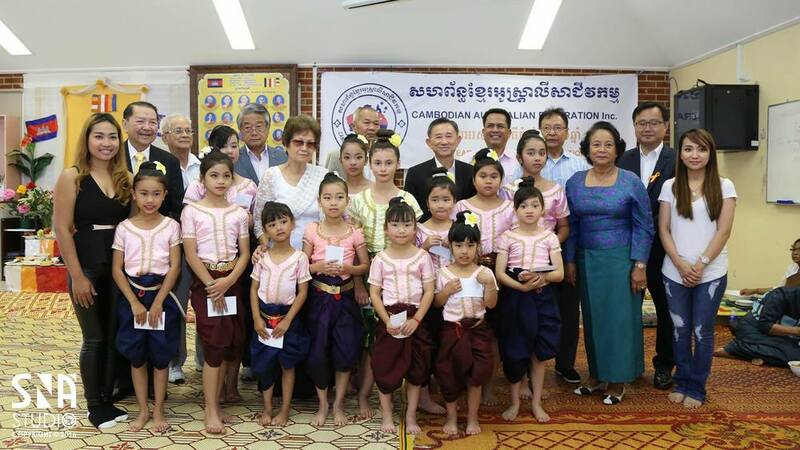 On August 7th, the community gathered at Springvale Town Hall to celebrate the 40th Anniversary of Cambodian settlement in Australia since 1976! The joyous occasion was organised by the Cambodian Federation of Australia and was proudly sponsored by Lim's Pharmacy. Lim's Pharmacy owners, Richard and Ann Lim, attended a dinner with committee members of the Nokor Tep Foundation, Brendon and Hazel, to raise funds for the Nokor Tep Women's Hospital. 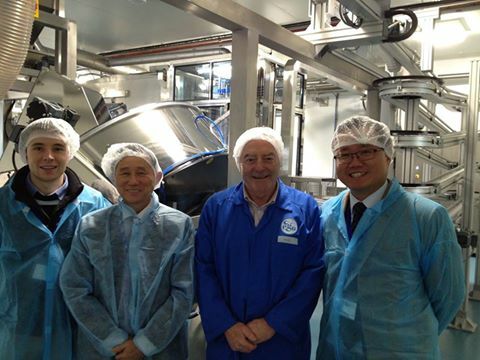 Lim's Pharmacy owner, Richard Lim, was invited to attend the opening of Ego Pharmaceutical's Flammable Product Manufacturing Facility (products such as creams, hand sanitisers etc.). Pictured (from left to right): Richard Lim (Owner of Lim's Pharmacy), Alan Oppenheim (Owners of Ego Pharmaceuticals), Meng Heang Tak (Mayor of the City of Greater Dandenong). 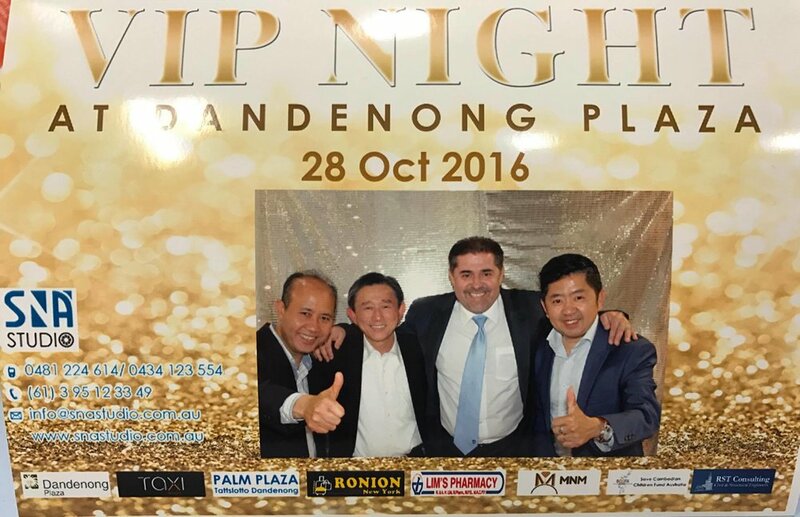 In the second photo (from left to right): Richard Lim (Owner of Lim's Pharmacy), Paul (Tour guide for the event), Meng Heang Tak (Mayor of City of Greater Dandenong). Lim's Pharmacy owner, Richard Lim, attended and sponsored Labor's 2016 Hotham Campaign launch. Pictured in the photos is Tanya Pilbersek (Deputy Leader of the Opposition, Labor) and Claire O'Neil MP (Labor for Hotham). On Sunday 12th of June, Lim's Pharmacy owners, Richard and Ann Lim sponsored and attended the Khmer Women's Society Inc.'s Dinner Dance Fundraising event. Lim's Pharmacy donated $3000 to assist the underprivileged women of Cambodia! We also sponsored 4 raffle prizes and 1 table, amounting to approximately $1500. Lim's Pharmacy owner, Richard Lim, and pharmacy student, Joanne, were among a selected few pharmacy owners and students invited to attend a boardroom lunch with The Hon. Daniel Andrews MP, Premier of Victoria. This was hosted by the Pharmacy Guild of Victoria, and allowed discussion with the Premier on ways the government can strengthen the future of pharmacy, such as expanding the role of pharmacists and much more. Lim's Pharmacy owner, Richard Lim, attended a meeting with the Nokor Tep Foundation to discuss ways to support and raise funds for the Nokor Tep Women's Hospital. Scheduled to open during the first quarter of 2017, this will be the first women's Gynecological and Oncological hospital in Cambodia! Lim's Pharmacy proudly sponsored local Vietnamese community group, The Freedom Day Club, in celebrating their 8th Anniversary. The group aims to support Vietnamese war veterans, and has the ongoing support of Lim's Pharmacy. 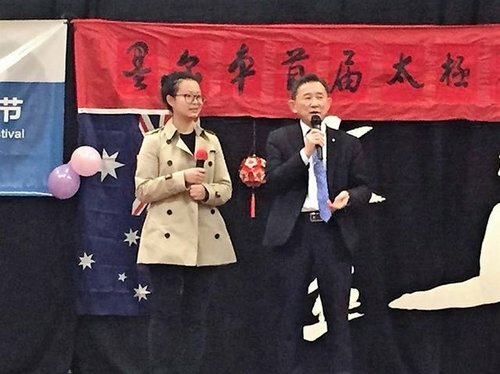 From left to right: Claire O'Neil (Federal Member of Hotham), Linda Nguyen (Pharmacist/Manager at Lim's Pharmacy), Richard Lim OAM JP (Owner of Lim's Pharmacy), President of The Freedom Day Club, Vice President of The Freedom Day Club. Lim's Pharmacy owner, Richard Lim, met with Mayor Meng Heang Tak (right) and Councillor Angela Long (left) to discuss ways to redevelop the Springvale area to modern standards. Our pharmacist Linda, along with pharmacy assistants Kheang, Lina and Huong enjoyed representing our stand at the Vietnamese Health Expo, organised by the Springvale Indochinese Mutual Assistance Association (SICMAA). On the 14th of May, Lim's Pharmacy sponsored and attended the Save Cambodian Children Fund's 2016 Charity Concert! The night was a great success and all funds raised went towards providing education to the children of rural Cambodia. Congratulations to our pharmacist Vey and Team Challengers for completing the 100km hike in just 36 hours! The hike has raised over $6000 for Oxfam, and was proudly supported by Lim's Pharmacy. Lim's Pharmacy owner, Richard Lim, met with the new ambassador to Cambodia, Ms Angela Corcoran, along with other leaders in the community to discuss the health care system and human rights in Cambodia. Lim's Pharmacy and owner Richard Lim was proud to support the 40th anniversary of the Cambodian Australian Federation Inc. This is one of the many ways we show our support for the multicultural community. Lim's Pharmacy owner, Richard Lim, was featured on the front cover of the first issue of 'Cambodia Magazine', a free, local magazine made for the Australian-Cambodian community. 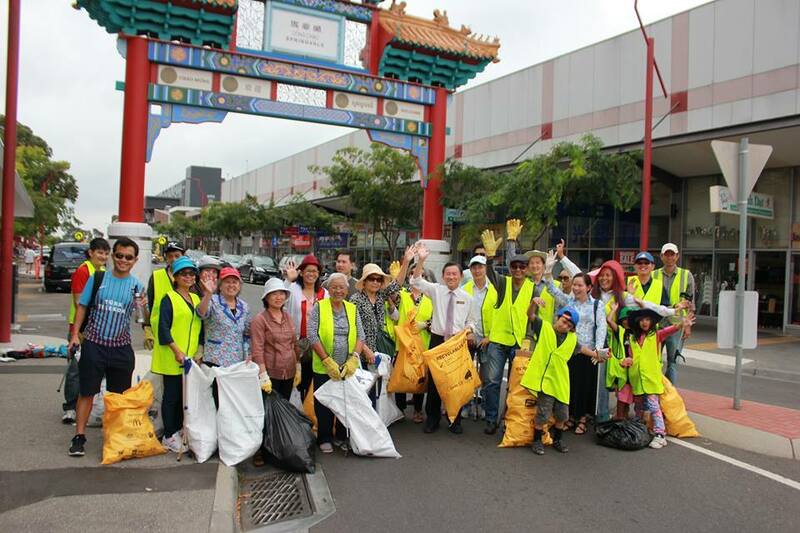 Richard Lim was proud to sponsor and participate in Clean Up Australia Day with the Cambodian Association of Victoria. Photo courtesy of CBN Khmer. Lim's Pharmacy was proud to sponsor the Cambodian & Chinese Friendship Association of Victoria Inc's Lunar New Year Dinner. Ken was proud to represent us at the event.